With the weather warming up, our thoughts turn to gardening, grilling and picnics. While these and many other summer activities are enjoyable, it is important to remember they may be dangerous to our pets. As you are caring for your plants, it is important to remember that some of the plants that make our homes, gardens, and yards beautiful can make our companion animals sick. 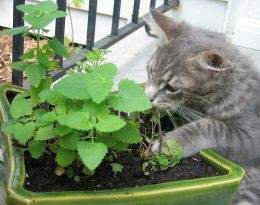 Besides keeping dangerous plants out of your pets reach, it is also a good idea to train your pets not to chew on or eat anything you don't give them. The top 10 reported toxic plant ingestions for 2008 were: Rasins/Grapes, Mushrooms, Marijuana, Lilly, Walnuts, Onion, Sago Palm, Macadamia Nuts, Azalea, and Hydrangia. Go to www.aspca.org/pet-care/poison-control/plants/ for a list of common toxic plants; and www.aspca.org/pet-care/poison-control/people-foods.html for common toxic foods.